There is nothing about being broke, in debt, and stressed about money 24/7 that makes you a better actor. So stop settling for the “starving artist” narrative and make 2017 the year you set (and get) your financial goals. 1. Own your cash confidence. Ditch the “I’m bad at math” excuses and take ownership of your money by dusting off those first grade math skills. That’s right: it all comes down to basic addition and subtraction. How much is coming and how much is going out each month? To get a handle on those numbers, start paying attention to your cash flow. Use an app like Mint to track it all for you, or simply write down your spending and earnings each day, income on one side, expenses on the other. Then add up each column at the end of every month. If you do just one thing differently with your money in 2017, make it this ridiculously simple practice. Knowing where your money is going today is the only way to make better choices about how to maximize your money tomorrow. How do you live within your means when you don’t know what your means are? You get grounded in your cost of living. 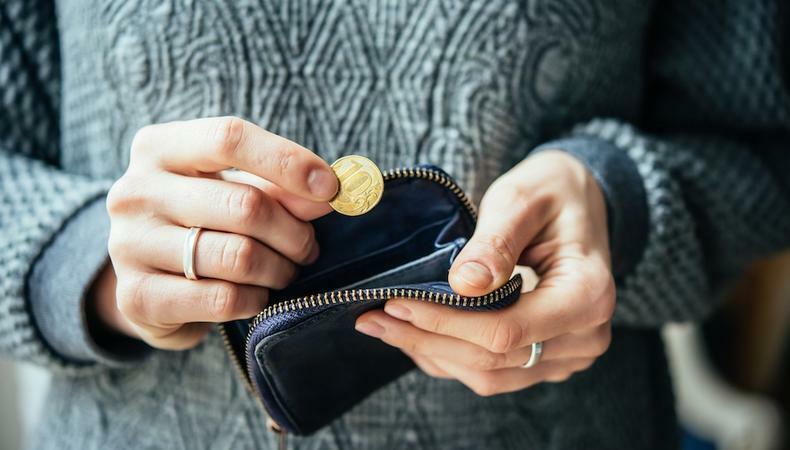 While your income may be irregular and unpredictable, your cost of living is largely predictable (if not constant), so use that as your benchmark when budgeting. The total of your necessities, budget buffer, and monthly financial goal targets is your make-or-break number—the minimum amount you need to earn each month to satisfy your basic needs without sacrificing your financial goals. To figure out how much you can afford to spend on discretionary expenses like entertainment, eating out, or even additional savings contributions, simply subtract your make-or-break number from your income. Because you may not always know your monthly income until the end of each month, use your previous month’s income as your benchmark for your present month’s expenses. So if you’re looking ahead to your January spending, subtract your make-or-break number from your total December income to know how much you can afford to spend on your “wants” in the month ahead. As an actor, you likely have other expenses that may not be necessities in terms of survival, but are priorities in terms of your career, like acting classes or new dance shoes. Similarly, you may have personal priorities that may not be necessities, but that you care deeply about, like a gym membership or donations to your favorite charity. This is why I recommend calculating another number in addition to your make or break number: your priority point. Simply add the total monthly cost of your top priorities to your make or break number and you’ll have a new benchmark. If your income surpasses your priority point, great, you can afford your necessities and priorities, and spend whatever’s leftover on, well, anything. But if your income falls short of your priority point, you may need to sacrifice your priorities for the month in service of meeting your essential needs. It’s better to make those occasional, temporary sacrifices than it is to not know how your expenses compare to your income, rely on debt to cover costs when you fall short, and find yourself six months later with a totally crushing credit card bill. 3. Get real about your costs (and your income). While you can always scale back from your priority point, what happens when your income falls short of your make or break number? While savings can cover occasional income shortfalls, a consistent pattern of earnings that fall short of your make-or-break number leaves you with two options: slash your essential expenses or find ways to earn more money. Better yet, do both. Your make-or-break number is a benchmark for the financial viability of your life. If you're not meeting it each month, the freedom to be creative and work in pursuit of your passion gets eaten away by your essential need for survival. So get real about your living costs. For example, finding another roommate to reduce your monthly housing expense or calling your cell phone provider to negotiate a lower rate. Similarly, get real about your income. You can only save so much, but your potential for earning more is unlimited. Find ways to maximize the time you spend on the subway and waiting in audition lines by cultivating new skills that allow you to work on your own time and your own terms. The additional freedom it affords you is so worth it...trust me. If I’ve learned anything from being both an actor and an entrepreneur, it’s that doing what you love is not the same as having a lifestyle you love. But by getting your money right and committing to these three goals in 2017, you can be well on your way to having both! Stefanie O’Connell is a millennial finance writer, author of “The Broke and Beautiful Life: Small Town Budget, Big City Dreams,” and founder of the blog, The Broke and Beautiful Life. Her work has been featured on Forbes, USA Today, the Huffington Post, Yahoo! Finance, and Business Insider.